I am not sure if I was just not in the right state of mind, didn't take the exam seriously because I have passed CCNA and work at a NOC, or if the OCG written for 640-911 falls short and I trusted it too much to do the job. I am usually a decent test taker, and I have not failed a single test (school or certs) in my entire life...at least as long as I can remember it. The 640-911 exam included topics such as different features that Nexus 2K, 5~7K supports and licenses that each come with. I don't know if I am exaggerating, but I think I may have had dozen or two questions related to vPC, vDC, FCoE, VXLAN, N2K, N5~7K, MDS, and FEX. All of these, I was expecting to learn in 640-916. I don't know, I'm pretty bummed out. Not sure if I should even bother with DC track at this point. Sorry to hear it. Sometimes I think having the OCGs really limits people from branching out and learning and gives them a false sense of security. I learned a lot more on my CCIP where there weren't really any dedicated exam books by reading all sorts of material. That is a really good point, and I think the use of words "false sense of security" is really right on the dot. It was a good learning experience in a way, and I know now to change my approach and method studying when it comes to not only for passing a certification exam, but learning a subject in general. Sat this exam today - and passed second time around. I feel your pain and you are spot on. This exam is not covered in the 640-911 guides and videos (as I found out 1st time around). Go back to the drawing board, go through the CCNP:DC CBT nugget videos and DCICT CBT Nugget videos and the DCICT book and that will help you pass! Good luck - you've got it next time. Another failure checking in. 738/818. I'm genuinely interested in the DC track, but I only took this because my R&S expires this month . I booked the exam Wednesday morning, read Lammle's book/did all the labs and practice questions from it, hoping that my admittedly weak R&S skills woudl be enough. Well, I was close, eh? Sorry to hear you guys didn't make it first time round. Are you guys doing any sort of labbing for the DC exams? The DC track is on my list of a million and one things to do but I'm interested in the best way to get hands on experience. Regroup, focus on your weak points and you will get it second time round! The DCICN you need to do use the Todd Lammle lab simulator to familiarise yourself with the NX-OS as there are some differences. I currently with Nexus 5K's and 2K's regular at work so it definitely helps with vPCs etc. I'm planning to spend some time on Cisco PEC labs to work with things such as OTV and FabricPath. Certainly something work persuing though. I didn't do a single lab. And thats probably what bit me. Like I said, I took my CCNA 3 years ago and haven't touched that stuff since, for a variety of reasons. I decided to take the DC exam last minute, after contemplating between ccna:sec and just not renewing for the last month or two. Deciding to take DC was an impulse. I think i did really well all things considered. Hey Guys just reading the comments. So is the CBT Nuggets 640-911 Videos Enough for the 640-911 Exam ? i would i need to cover the 640-916 Videos aswell ? Definately watch both 911 AND 916 several times. I was kicked in the balls by product specific knowledge that was covered much more in depth in the 916 nugget. Also check out IP Expert's CCNA:DC content. It's pretty frecing awesome. Watch the nuggets first, though. Why is the CCNA DC so hard ? is IPExpert worth the price tag ? GUARANTEED PASSING MATERIAL. We will keep you updated with latest exam questions till your exam. Its in both VCE and PDF Formats with working VCE Player. We also have all valid latest exam preparation material for any exams Juniper, Microsoft, CompTIA, CISCO, Network+, Oracle and Huawei etc. FEEL FREE TO CONTACT ME REGARDING LATEST **** FOR YOUR FUTURE CERTIFICATIONS. Sorry to hear mate, I did CCNA DC a couple of years back and like you thought there was loads of overlap with ICND1. Seconded - on the crap press books. I recently did my CCNP DC as I was using Nexus/UCS more in my job. I used INE for that, and I happened to backtrack into some of the CCNA DC topics that I had forgotten. 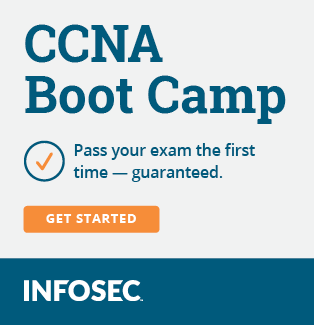 I would buy the CCNA DC course if you decide to have another shot at this exam. He is spamming for a **** site. Do not use.